I have been tied to this here computer a lot lately, and therefore not cooking or baking as much as I would like. Maybe I should say not baking as much as I would like. I don't really want to cook. 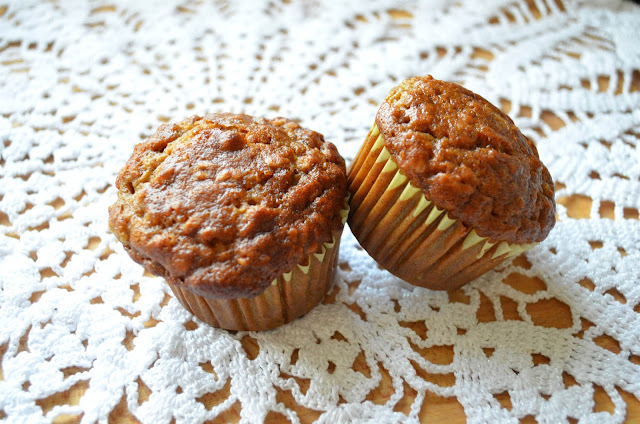 I did manage to make vegan banana muffins for breakfast one day. Here are some other meals I have enjoyed this past week. 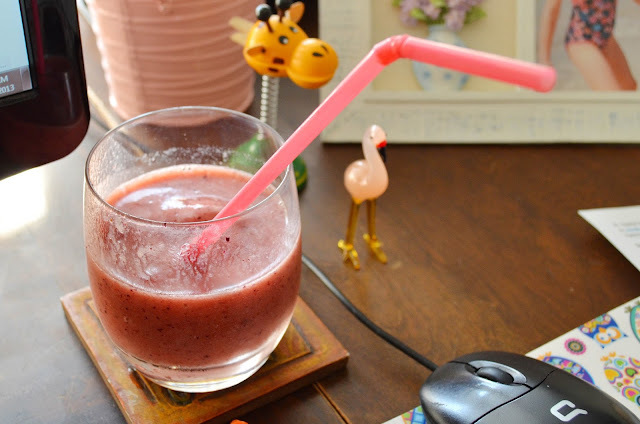 Yesterday morning my husband brought me a fruit smoothie here at my desk. That was nice. I tend to get right on the computer in the morning before I even eat. I followed the smoothie up later with an apple fritter and a cup of decaf green tea. 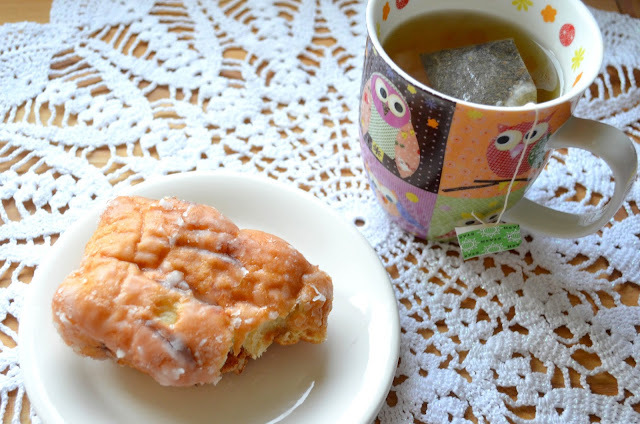 An apple fritter is breakfast food right? There are apples in it. 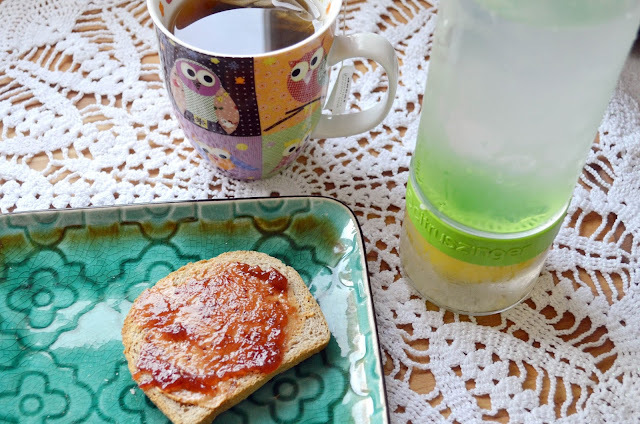 Another day's breakfast was tea and a slice of spelt bread with peanut butter and jam. I also forget to drink water when I'm at the computer a lot, so I filled up my Citrus Zinger with water and lemon juice in the morning to be sure I would drink throughout the day. For lunch one day we had a cucumber and tomato salad along with quesadillas filled with black beans and Daiya vegan mozzarella shreds. 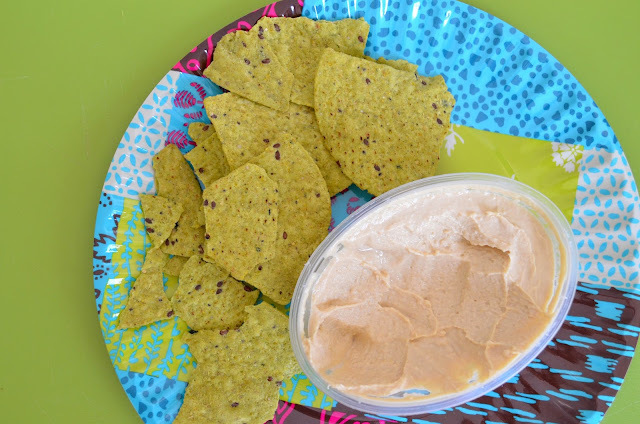 One day I was really lazy and I just grabbed some hummus and these WildRoots Kale & Chia WildChips that I got at Costco. They are surprisingly quite tasty. 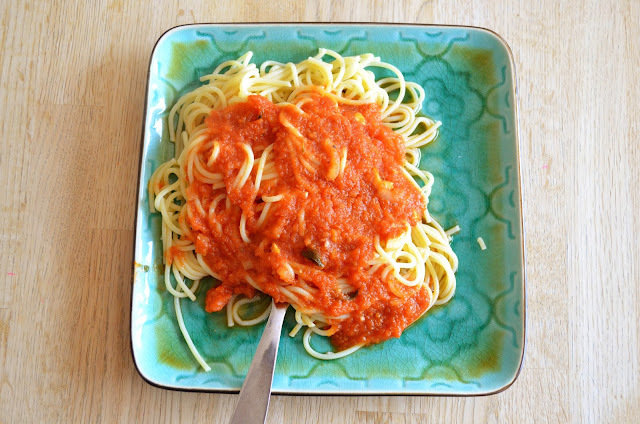 Another lunch was spaghetti with leftover tomato sauce. We do a lot of that around here! 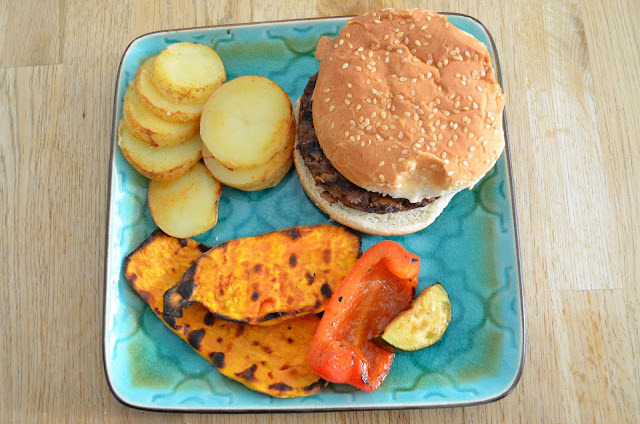 My husband barbecued for dinner one day - potatoes, sweet potatoes, peppers, zucchini and delicious Gardein veggie burgers. 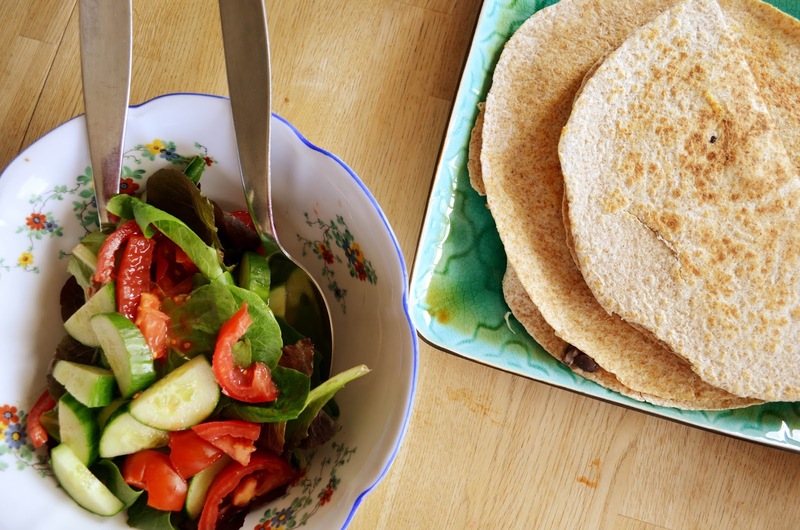 I love these simple summer meals. I figure we can make them right into November. 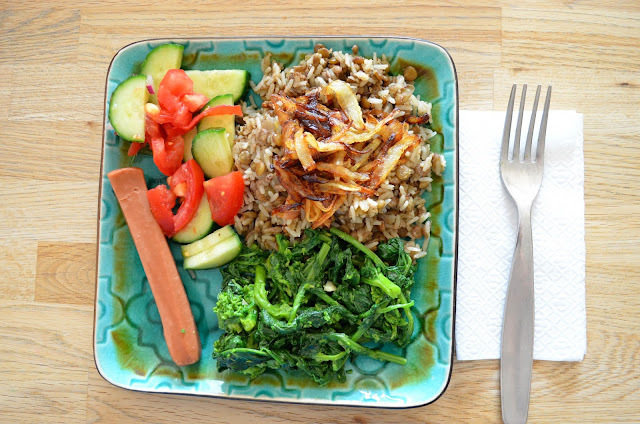 Yesterday I made my standard lentils and rice, which we enjoyed with another cucumber tomato salad, rapini and veggie dogs. I know, the veggie dog kind of uglies it up, doesn't it? How about you? Have you been spending much time in the kitchen lately? I've had those Kale chips from Costco before! We lovedddd them over here at my housse! So good! Your muffins look lovely. So moist. That's sweet that your hubby made you a smoothie. Wish my man would that.